CHINZ 2002 Proceedings are in the ACM Digital Library. Human-Computer Interaction is the noble face of Computer Science. It�s the part that can bring hope to an increasingly push-button world that often seems frustrating and confusing to users. 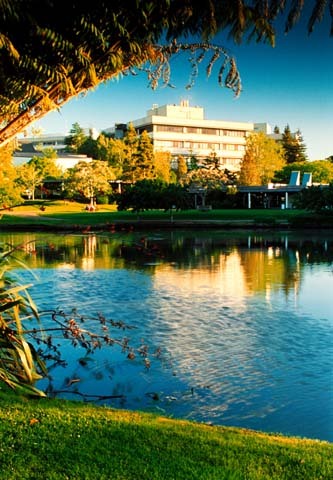 The 3rd Annual ACM SIGCHI NZ symposium on Computer-Human Interaction will bring together New Zealand�s growing community of interactive system researchers and industry practitioners. The two-day event will encourage, inspire and motivate us all to make our users� lives, our communities and society better. Harold Thimbleby, the internationally renowned and innovative HCI researcher who is Director of the University College London Interaction Centre UK, will give the opening Keynote. Jon Labrie of Weta fame will keynote at the closing plenary session. The programme will also provide many opportunities for us to share new interactive techniques, technologies and methods and to pursue collaborative opportunities. And, of course, with a good social programme, there will be times to relax, catch-up and enjoy the visit to Waikato. the ACM SIGCHI New Zealand Chapter.